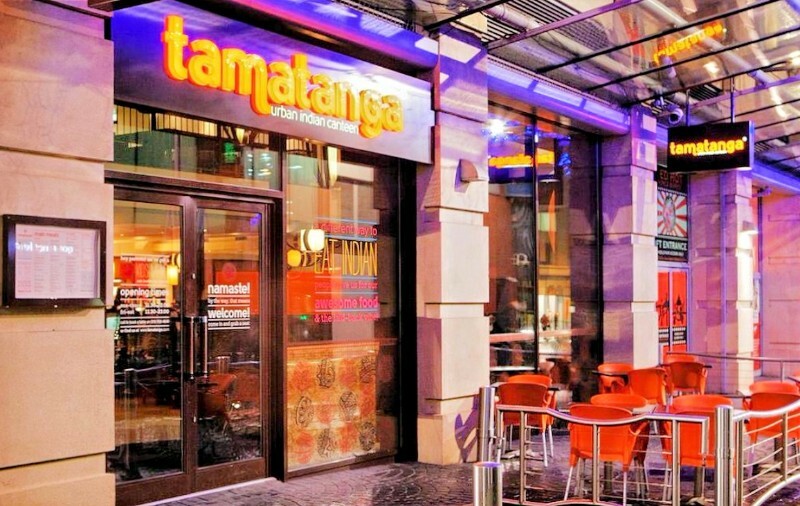 – real, fresh, homely food, Indian cuisine as it’s meant to be. It’s all true to its roots, just like they make back home. Fresh, fabulous and flavoursome. Good music, good feelings, good food. Come in at any time of day for a bite to eat. We can usually seat you fairly quickly, so feel free to just turn up. The service is pretty speedy, too, which makes us perfect at lunch, pre/post cinema or theatre and in between hitting the shops. Or hang around a bit longer with a few cocktails; the atmosphere in the evenings is buzzing! Bringing the kids? Great! We love them. We’ve got highchairs and baby-changing facilities for the little ones; crayons, colouring and balloons for the bigger ones! Our kids’ menu has something for even the fussiest of eaters and always goes down a storm! We currently have 2 locations, Nottingham and Birmingham.